We Don’t Discuss Death, But We Should. A new study has shown that only one in four Australians has discussed their end-of-life wishes with their family, despite three quarters acknowledging a need to plan ahead. As an estate lawyer, this is worrying news. I’m not pretending this is an easy discussion to have, but some issues are made worse by ignoring them. End of life planning isn’t just about what songs you want played at your funeral, or whether you want to be buried or cremated, there are considerations that may impact your loved ones while you’re still alive. In my work, I see the consequences of these decisions all the time. A will: This lays out your wishes for what happens to your assets after you die (and how those assets should be used to pay any bills you leave behind). An advanced care directive: This spells out your medical care wishes for when you’re really unwell. This could be for a number of reasons including dementia, a serious stroke, mental health episode or an accident. Enduring power of attorney: This appoints someone you trust to be your legal decision maker in the event you lose capacity to act on your own. For many of us, the legal implications of death begin when someone loses capacity to care for themselves and the power of attorney must be implemented. Being someone’s attorney is a big responsibility. 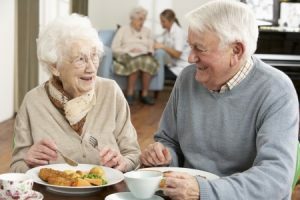 It can mean you’re spending a great deal of time organising aged care placements, placing assets into storage and even preparing the family home for sale to help secure an aged care bed. It’s stressful work. In some cases, people even have to take extended leave from work to handle everything the role entails. For that reason, it’s important that you discuss what this role really means to someone that you plan to nominate as your attorney, to help reduce the risk of tension within the family over “who is doing what”. The same goes with your advanced care directive. Through this document, you can actually nominate for your medical treatment to focus on comfort at the end, rather than prolonging your life – a decision that can be hard for family members to understand at the time it’s implemented. While there’s no legal need to discuss your will, it can also help if you explain to your beneficiaries why certain decisions have been made. Aside from the practical reasons to discuss your end of life wishes, there’s strong psychological evidence that an open discussion helps ease the anxiety around an impending death. Final conversations between the terminally ill and their family members can help individuals begin the grieving process while their loved one is still present and can help family members move on after the death without regret because nothing was left unsaid. My advice. Don’t wait for illness to begin discussing your end of life plans – make it an event to bring your family and friends closer together. Have the discussion, explain your wishes then share a meal and remember what makes your time together so special.